A truly beautiful product which coordinates perfectly with the vintage-shabby style of Melissa Frances. You can add these beautiful flowers to your scrapbook layouts, mini albums, home decor and more. 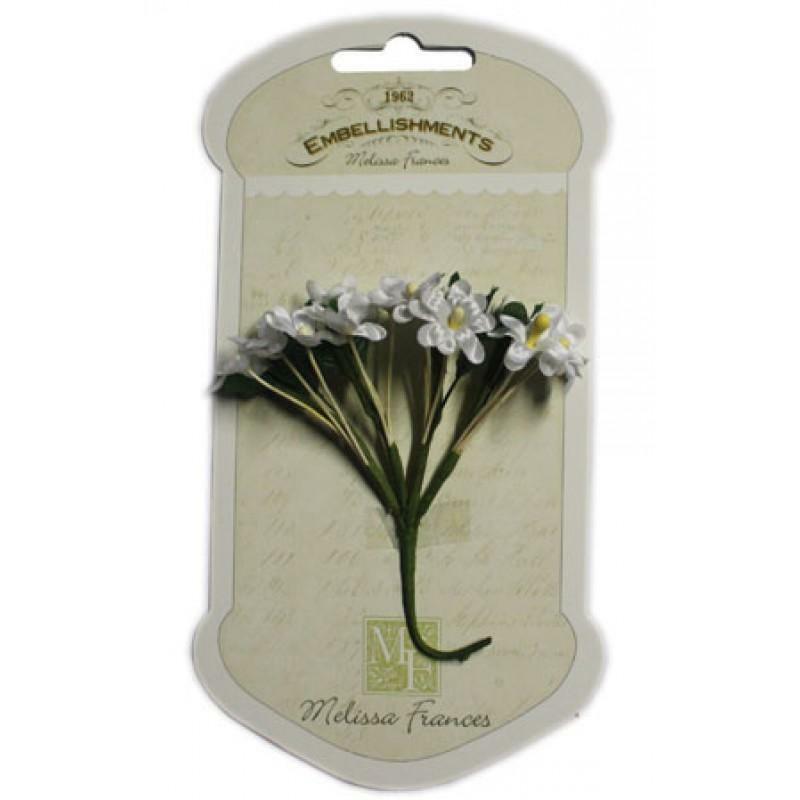 The package contains 10 individual flowers on stems.